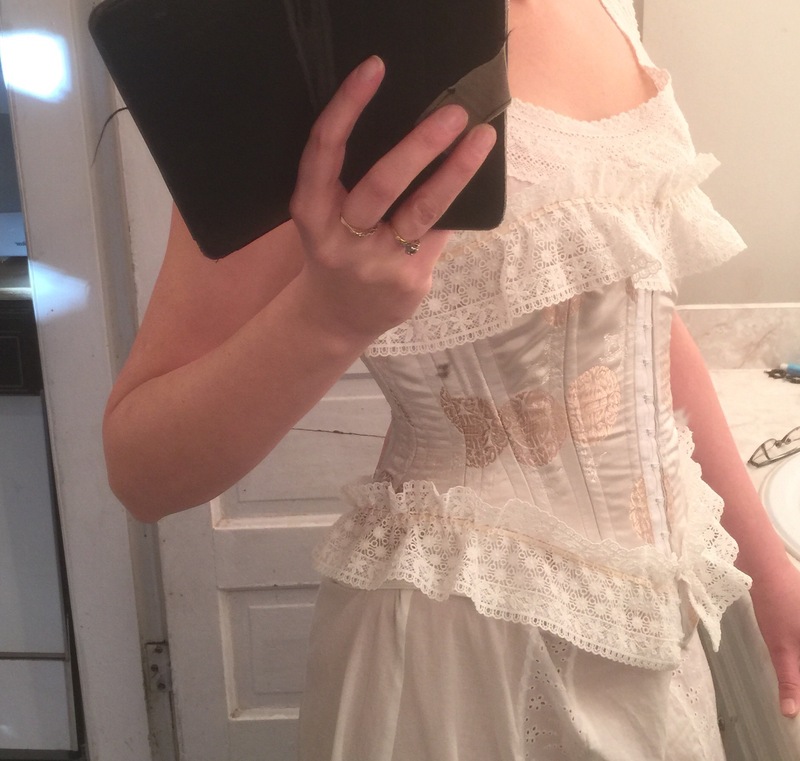 Of course as soon as I got the antique pink corset I wanted to copy it. If only to get a better sense of how it is shaped. This is not such a replica. If anything, it’s a crude approximation, with little of the delicacy and grace of the original. 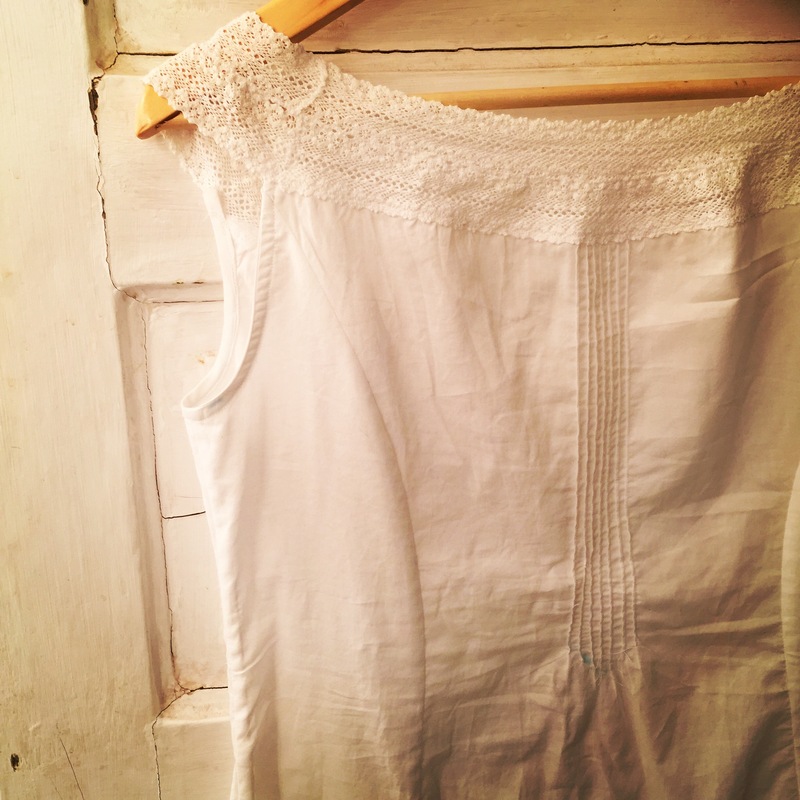 Everything is too heavy—the fabric, the boning, even (especially) the lace. 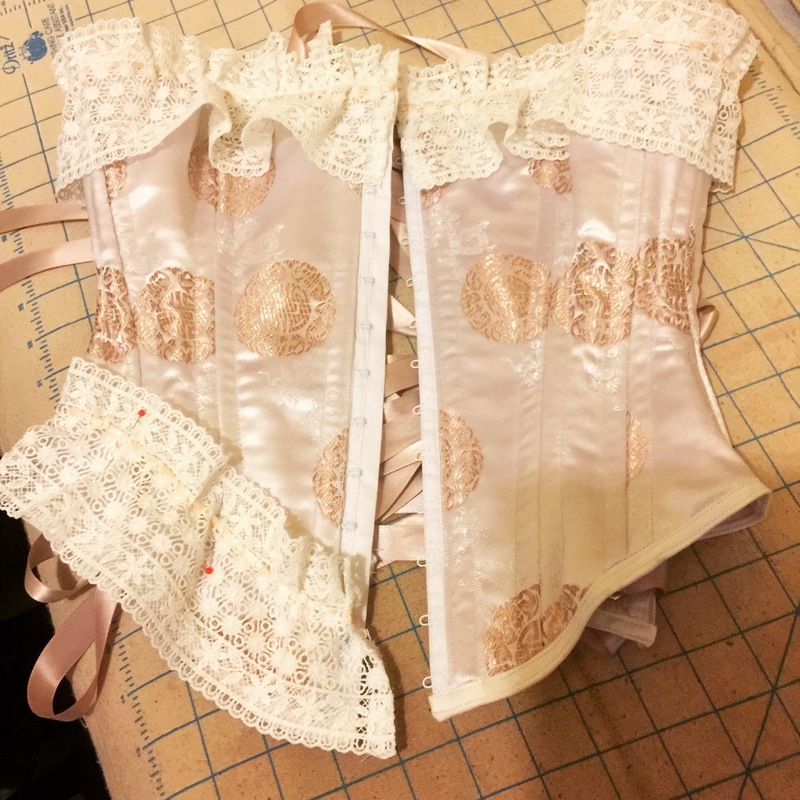 It is excused only by the fact that I REALLY wanted to do a work project with this pale-pink Chinese brocade, because, um, gorgeous. The pattern is my altered version of Butterick 4254. The fabric is a Chinese brocade, the strength layer made from ticking. I’m out of busks, so since this is a work project I subbed in something we do carry at work—hook and eye tape. It’s not as pretty as a busk, but a bit more delicate, which is in keeping with the style of the original. It’s also really annoying to hook up, by the way. 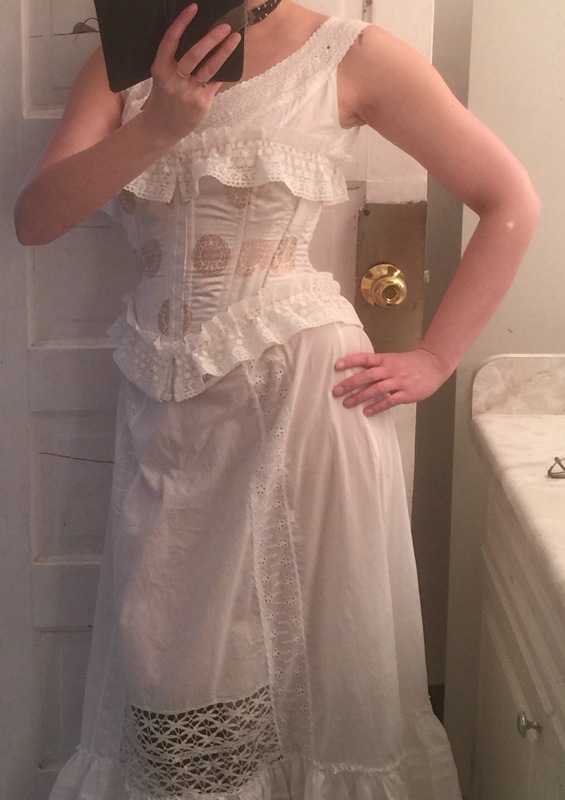 I made a number of poor choices in the construction, but I will say that the top and bottom lace hides any number of sins, and enhances the Victorian-hourglass impression as well. It also got some little pink bows (à la original) just in time for me to hang it up at work, but not in time for these quickie-bathroom-mirror pics. It is growing on me. Although I didn’t want to do buttons, because time. Most of the princess-seamed chemises I could find online seem to come from 1900+, but The Home Needle (1882) mentions them so they were around. 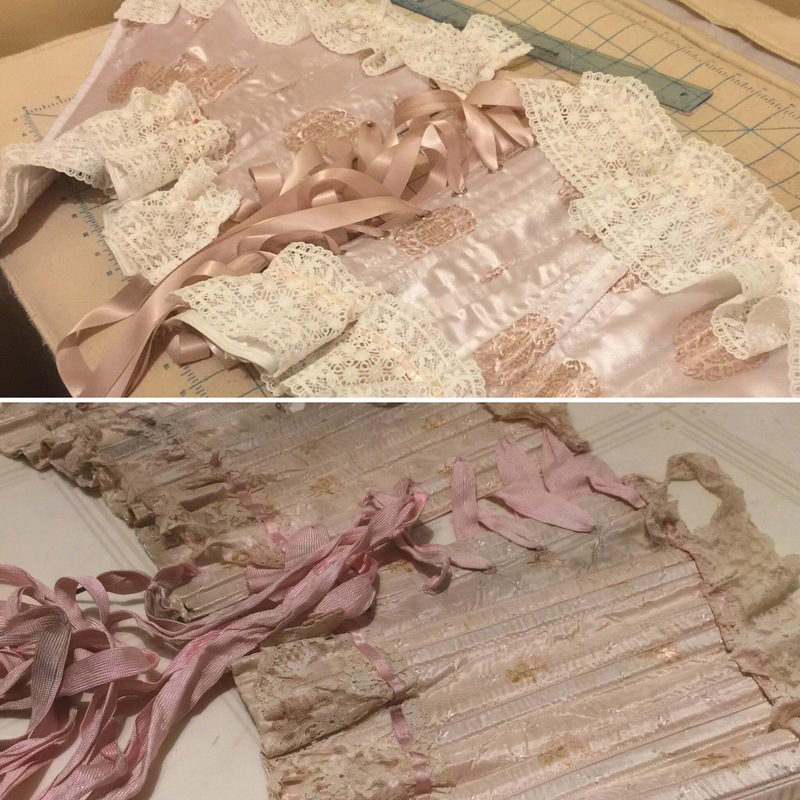 I couldn’t find any patterns I was super into, plus this is not exactly a proud piece of historical recreation, so I pulled out a princess-seam dress pattern, McCall’s M7189, in fact, though I think it doesn’t matter that much which exact one. 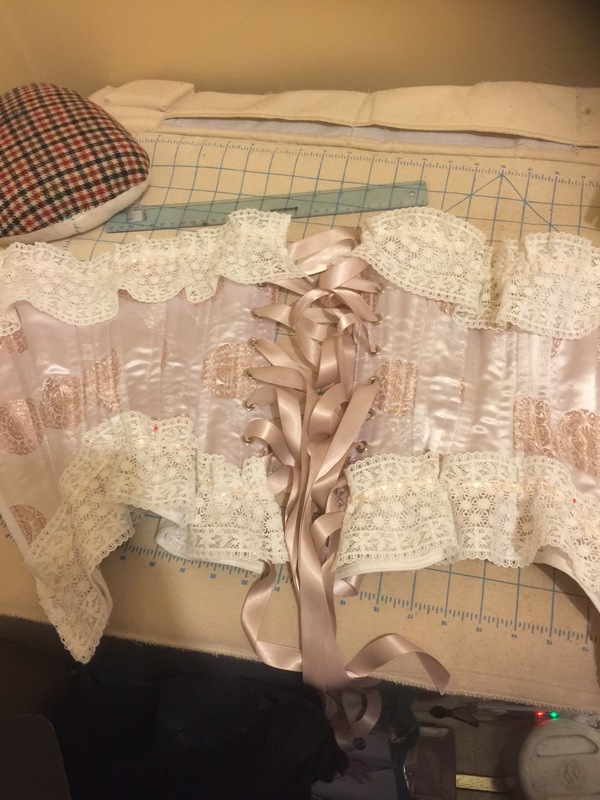 I added a bit at the waist so I could slip it in without a closure, and deleted a bit at the top to add the lace neckline and straps—this took some interesting stretching and squishing of the lace to create the curve. 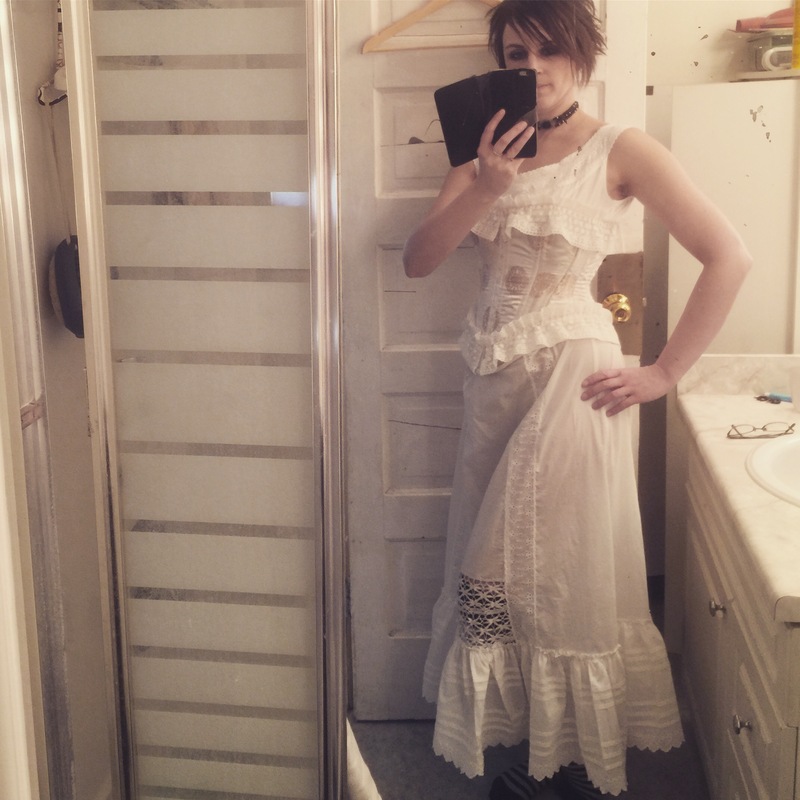 There are two rounds of lace and I was completely astonished when it turned out to sit just right on my shoulders. 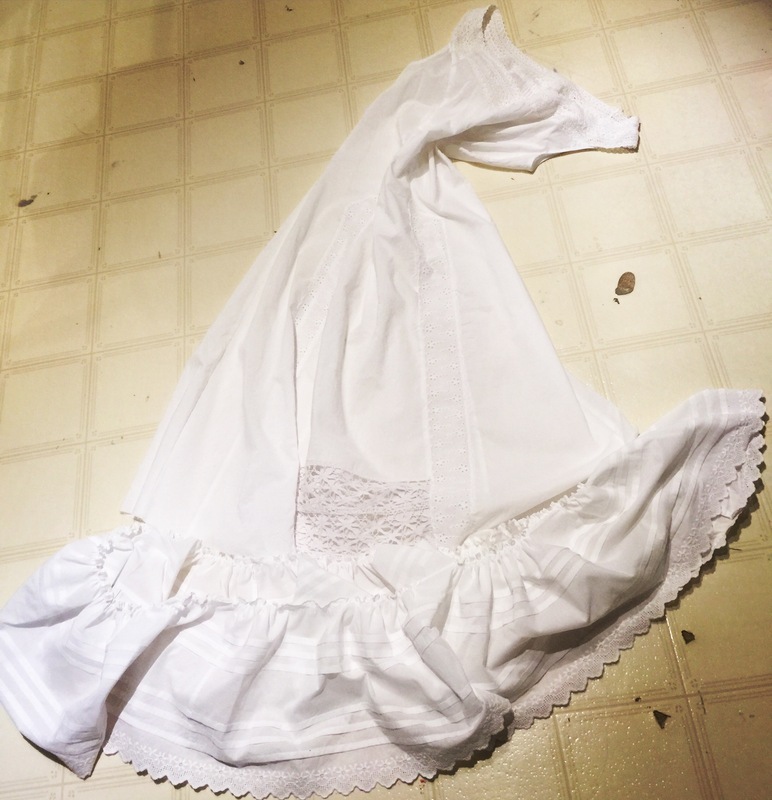 Then I tried to save time while putting the ruffle on the bottom by using my ruffler foot to attach it, and had to tear it out three times because I made it too small. Dur! All in all, though, I am satisfied with the overall look, given the limitations of my materials. It’s good to see you posting again! What can I say other than”Wow”! 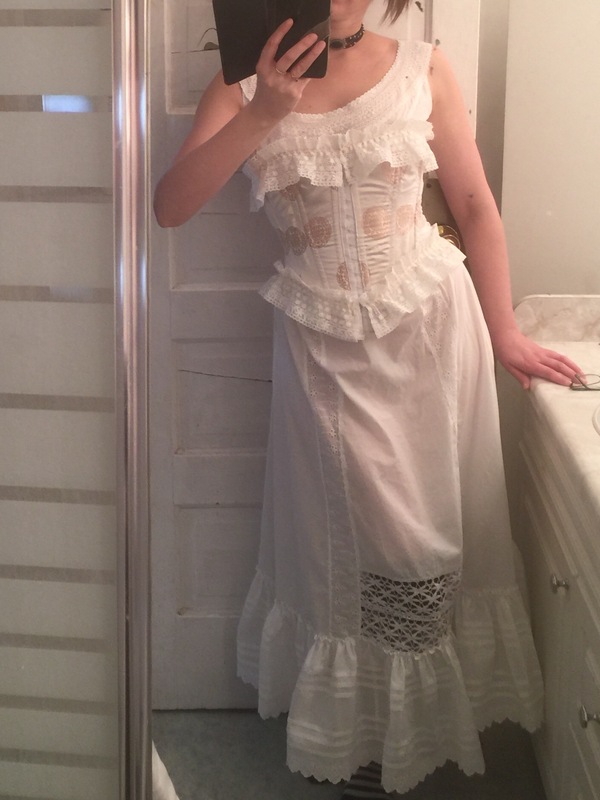 Really a lovely victorian look! Too bad it gets hidden from public view.